North Park Theological Seminary Professors Klyne Snodgrass, Professor of New Testament, and Michelle Clifton-Soderstrom, Associate Professor of Theology and Ethics, discuss Jesus’s view of women and the key biblical passages on women in ministry. This video was created for Exploring the Call, a discernment retreat for women exploring a call to ministry. Exploring the Call was developed for the 2013 conference of women of the Evangelical Covenant Church, Triennial XIV. For more information on Women Ministries, please click here. 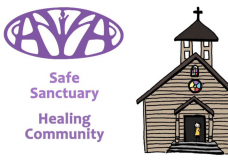 This powerful video explains the prevalence of domestic violence and childhood sexual assault and invites congregations to get involved in advocating for the prevention of abuse while supporting those who are dealing with its effects. For more information, email to wmc(at)covchurch.org. 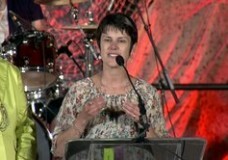 Christi Pease gave a word of witness during the Saturday evening worship service at Triennial XIV in San Diego, California.